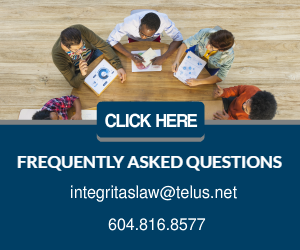 McNish v. Electronics Boutique Canada and others, 2017 BCHRT 32 (“McNish”) a decision earlier this year by the BC Human Rights Tribunal on an application to dismiss, illustrates an employer’s duty to inquire about the need for accommodation, when it possesses information that raises the possibility that accommodation may be required. McNish, involved a complainant who alleged discrimination in employment on the basis of mental disability by the respondents Electronics Boutique Canada Inc (“EB Games”), Toni Hardy and Lauren Welch (collectively, the “Respondents”). Destiny McNish (“Ms. McNish”) worked for EB Games as an Assistant Store Manager. The Respondent Toni Hardy was the Store Manager and the Respondent Lauren Welch was the Area Manager. Ms. McNish had a learning disability and an anxiety condition. The troubles began when Ms. McNish was asked to train a new co-worker. The two did not get along and there were significant communications issues between them. Ms. McNish complained, among other things, that the co-worker exhibited aggressive body language towards her, slammed drawers shut when she approached him and refused to speak to her during their shifts. The Store Manager encouraged Ms. McNish and the co-worker to have a conversation to try and resolve their issues, but this was unsuccessful and ended when the co-worker accused Ms. McNish of hiding behind her disability. This conversation occurred on March 23, 2016. On April 1, Ms. McNish told the Area Manager that the co-worker’s conduct was affecting her mental health and was told to “tough it out”. On April 15, Ms. McNish told the Store Manager that her doctor wanted her to take a medical leave of absence and asked the Store Manager what her options were in terms of resolving the matter. When the Store Manager was dismissive, Ms. McNish spoke with the Area Manager who laughed at her for considering taking time off and told her to “get over it”. On April 21, Ms. McNish again spoke with the Store Manager and asked if she could be transferred to another store, as she would otherwise have to go on medical leave because she was experiencing panic attacks which affected her ability to do her job. The Store Manager responded that a transfer was not an option and made comments suggesting that Ms. McNish was “weak” because she took medications and did not just push through her anxiety problems “like an adult”. She also told Ms. McNish that she had experienced similar health issue but had come to work because that is “what you have to do”. The Store Manager also asked Ms. McNish whether this would happen again if she was unable to get along with some other co-worker. Ms. McNish was distraught by the conversation and left for the day before her shift ended. The next day she texted the Store Manager to say she would not be in and would submit a doctor’s note. She also contacted human resources and explained that no one was taking any action regarding the issues she was experiencing with the co-worker and that she could not return to work until the situation was resolved, or she was transferred to another store. The HR Manager said they would look into it when Ms. McNish returned from her leave. Ms. McNish resigned from her employment shortly afterwards on the basis that working at EB Games had become intolerable and subsequently filed a human rights complaint. The Respondents applied to have the complaint dismissed on the basis that they had made several attempts to resolve the matter and had assured Ms. McNish that she could have time off as long as she had a doctor’s note. The Respondents also claimed that the HR Manager had every intention of dealing with the situation once Ms. McNish returned from her sick leave and that if it was ultimately found that the relationship between Ms. McNish and the co-worker was too damaged, they would have tried to accommodate Ms. McNish by moving her to another location. In denying the Respondents’ application to dismiss the complaint, the Tribunal stated that the difficulty with the Respondents’ arguments was that they could not explain what steps they had taken to remedy the alleged discriminatory treatment leading up to April 22, except for saying that they eventually agreed to let Ms. McNish take a leave of absence and that they would address the matter upon her return to work. Noting also that the parties had very different versions about what had happened and that these competing versions would be best resolved through a hearing where the parties would be subject to cross examination, the Tribunal declined to exercise its discretion to dismiss the complaint. Don’t dismiss employee concerns out of hand. Be respectful of an employee’s disability. Telling an employee to “tough it out ” “get over it”, or work through something “like an adult”, is not appropriate in any circumstance. When an employer is in possession of information that raises the possibility of accommodation, it is essential to make proper inquiries and exercise due diligence. When the need is established, taking proper steps to accommodate an employee is not optional; employers are legally required to accommodate an employee up to the point of undue hardship. Consider accommodation options in a timely way. Avoid creating a situation which could result in a constructive dismissal. Keep communication channels open and communicate respectfully with your employees.